Godiva is a splendid example of a brown rosetted Bengal. She has wonderful rosetting and such beautiful amber eyes! We have hopes her kittens will inherit this eye color as well. Godiva carries for spotted and marble patterned Bengal kittens. We have hopes that she also carries for snow! If you’d like to see Godiva’s pedigree, click here. 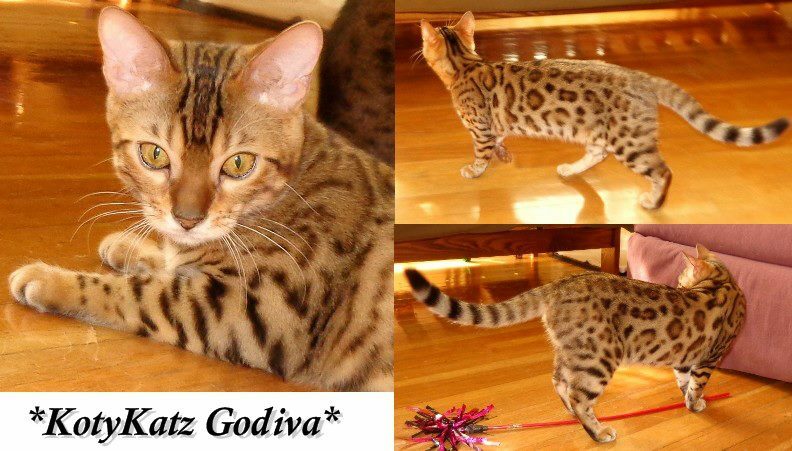 This entry was posted in Gallery, Reference Queens and tagged Bengal, brown rosetted, Brown rosetted bengal kitten, rosetted bengal cats. Bookmark the permalink.